A 2007 Habitat for Humanity trip to Honduras was my first exposure to the third world. Spending a week in Santa Rosa de Copan and working side by side with future homeowners was truly humbling and eye-opening. Our task for the week was to dig ditches to accommodate the water pipes for the new Habitat community development. It would be the first time these families had ever had running water for indoor kitchens and bathrooms. Needless to say, it was hard to fathom for this middle class, Midwestern girl who grew up in a ‘Norman Rockwell-esque’ neighborhood. It was hot, dirty and exhausting work, yet knowing that we were providing a safe and sanitary home for hardworking and deserving men, women and sweet, beautiful children made it the most meaningful work I’ve ever done. I’ve used half of my annual vacation days to travel to places like Peru, Morocco, Honduras, and Costa Rica to do volunteer work in orphanages, senior homes and community centers in impoverished areas. Every time, I’ve had an enriching encounter with so called ‘needy’ people who have shared their experiences and kindness – while at the same time, receiving support, caregiving or nourishment provided by our volunteer efforts with grace. These people have forever redefined what it means to be rich. Blending outreach with travel is a growing trend. A 2007 Forrester Research study showed that approximately 3.5 million Americans, or roughly 3% of the U.S. leisure travel market were estimated to be “voluntourists”. Kimberly Haley-Coleman, executive director of GlobeAware.org in Dallas shares that “there has been a huge upswing in the wake of September 11, Hurricane Katrina and the 2004 tsunami.” . For my own part, I decided to commit to a service trip each year after returning to home from Honduras with a new perspective on the great blessings we have in the U.S. and a profound feeling of responsibility to continue to give back. Commitment to volunteerism, belief in the global good and also passion for travel and the adventure, growth and fun that accompany them are foundational and compelling drivers in the creation of GIVEjoy. Four main pillars frame the proposition: gratitude, inspiration, vacation and education. Envision a kind of an Anthony Bourdain-meets-modern day Mother Theresa. Gratitude . The daily practice of gratitude journaling continues to illuminate the simple yet profound blessings in my every day. A kind note from my mom, a productive day at work, a healthy meal at home in my comfortable little ‘nest’ are some of my examples. Someone to love and be loved by, health and ability to work, food and shelter for nourishment and rejuvenation – these so called basic necessities are not a given for the people I’ve been blessed to encounter over the years in my travels. Whether it is in our faith, spirituality or basic humanity – being aware of our blessings and being thankful for them is the foundation for a fruitful life. In fact, numerous studies show that gratitude makes you healthier and happier. Recent research has concluded that the expression of gratitude can have profound and positive effects on our health, our moods and even the survival of our marriages. By making the choice to travel to a foreign land and give of yourself, a newfound awareness of, and sensitivity to, the plight of others cultivates a profound sense of gratitude. Inspiration. The word inspiration is derived from Latin inspirare “inspire, inflame, blow into.” The catalyst for voluntourism is like having inspiration breathed into your soul. It can take on many meanings for different people at various stages of life – whether it is fulfilling a desire for connection, purpose, or fulfillment of humanitarian values. Some key areas to consider are: community giving and connection, understanding and growth and finally the ‘feel good factor’. After sharing our first day at a volunteer placement in a Costa Rican senior center, my mom said “I feel so happy and full, I feel tingles all over and could cry”. What an extraordinary event for us to share with our new Costa Rican ‘family’. Given the emotional and sensory experience it can be, inspiration often quite difficult to express verbally yet it can make a life-changing impact at the same time. For me, inspiration comes from new experiences, new friends, and a feeling of peace and purpose from giving of my time and resources to make a positive difference and have meaningful experiences along the way. From working with orphans, abandoned abuelas (grandparents) and underprivileged adults across multiple contents, each experience is unique and meaningful in a very personal way. 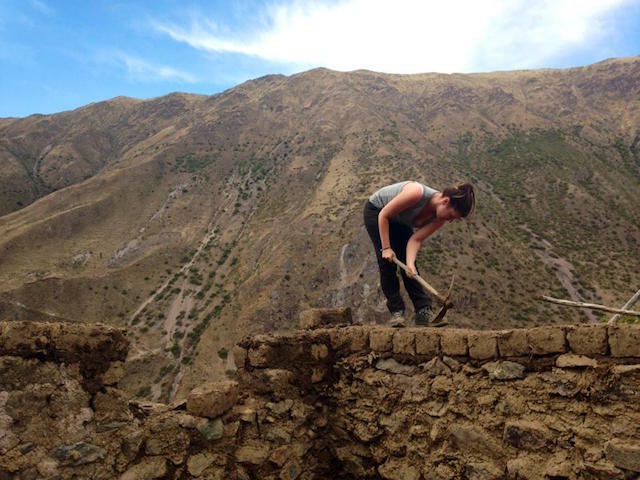 Most people think of relaxation and renewal as freedom from other people and their needs, however, in my volunteer travel experiences rejuvenation is the fruit of connecting with others and helping to provide for their needs. It can be as simple as a smile, hug, helping hand or a hard day of work digging in the dirt. It is important to know and remember that one person can make a difference and by doing so, we are helping ourselves. Vacation. For many, the word vacation has evoked images of a tropical beach, romantic European villa, exotic African safari or other ‘bucket list destinations’. Perhaps Machu Pichu, the Eiffel Tower or the Barrier Reef comes to mind with associations of relaxation, fun, and adventure. These images are largely self- focused, entertaining and curated. However, the vision of an ideal vacation experience has shifted for me and many others. From his years of research on the subject of volunteerism, Dr. Harteveldt found that “many travelers want to understand a destination in a deeper way, and volunteering is an opportunity to connect in a substantive manner. It’s not just about having a great meal or taking a great picture…. (they) want to have an opportunity to give back and create a meaningful, more authentic experience”. As Americans, we work hard. In fact, a recent Time magazine piece indicates that we lead the world in leaving unused vacation days on the table in the amount of about 429 million unused days per year. One can just imagine what could be accomplished with that vast time and collective brain and brawn! Rest and rejuvenation are absolutely needed and well-deserved. However, there lies an opportunity to use that precious vacation time to reframe and rejuvenate in an entirely different way. Volunteerism – or “voluntourism” as it is sometimes called – can provide a new perspective, energy and revitalization. Envision waking up in a bunk bed, sharing a simple meal with fellow volunteers before heading off to care for orphaned senior citizens by helping the overextended staff with meals, crafts, physical therapy and fellowship. Even without a common language, we share a common purpose of caring and sharing to provide a bit more comfort and peace to these kind souls. One day in my volunteer placement would challenge the best relaxants the first world could offer. It is what I call the ‘best brand of tired’ one could hope to have – leaving you with sore muscles, a full heart, and an understanding of what little we actually need to be happy. Connection, peace, purpose and hope. Which, if we’re honest, are what and why most of us seek from our vacations and ultimately – life. Education. The forth pillar of GIVE rounds out the concept. Education is cultivated by investing in experiences. Volunteerism offers an opportunity to learn about other cultures, history, traditions, and global issues and leaves a greater understanding and sensitivity. For example, Global Volunteer Network, a non-profit recommended by Bill Gates and CNN, believes in inspiring learning, innovation, and action, to unlock the potential of vulnerable communities around the world. Academic research also supports this claim. 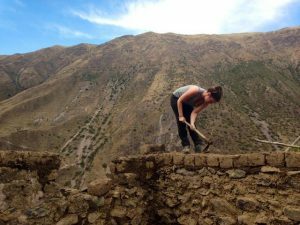 Research published by the Chartered Management Institute and the international volunteer agency VSO states that 94% of employers agreed or strongly agreed that volunteering abroad increases skills and 48% believed it increases employability. This focus on learning and personal growth has led to multiple service opportunities and adventures over the years for me and fellow philanthropic adventurers. Being actively involved in local non-profit organizations such as Big Brothers and Sisters, Step-Up Ministries, Dress for Success, and Habitat for Humanity was the initial step on my journey. These local experiences created a curiosity and calling to take a volunteer vacation. Since that first eye-opening and life-changing experience in Honduras, I’ve been inspired, compelled, and blessed to take an international volunteer trip each year. Each with its’ own unique experiences, challenges and adventures. A conversation with a fellow volunteer on a particularly hot day digging trenches triggered the question: What would you do IF there were no barriers of money, time, fear, possibility of failure? That discussion in the mud planted the GIVEjoy seed. I encourage and challenge you to reflect on your priorities and possibilities to GIVEjoy with a volunteer vacation. Explore resources below to learn more about the impact of voluntourism and see how the spirit of GIVEjoy continues to evolve and grow. Joy Steinberg currently works in Digital Insights for the Clorox Company. She has a concern for positively impacting consumer and corporate cultures has led her to pursue extensive service opportunities. She has been actively involved and also mentored leadership in local and global non-profit organizations such as Big Brothers and Sisters, Step-Up Ministries, Dress for Success, Habitat for Humanity, and Cross-Cultural Solutions. Extensive professional and personal travel to Honduras, Brazil, Peru, Morocco, Costa Rica, Mexico, and France has afforded Joy occasions for cultivating sensitivity to international cultural nuances. She combines her graduate training in International Relations with an emphasis on International Business (University of Texas, 2000) with a B.A. in Interdisciplinary Studies and Marketing Communications (University of Wisconsin, 1993) to regard global business problems and opportunities from a well-rounded perspective. Originally published December 15, 2014.